Halloween is nearly upon us and Sykes Cottages have challenged bloggers to come up with some healthy Halloween treats. As my boys are aged between 2 and 6, I decided that I wouldn't be too gruesome with the menu. First of all I made a Spooky Spider Sandwich. 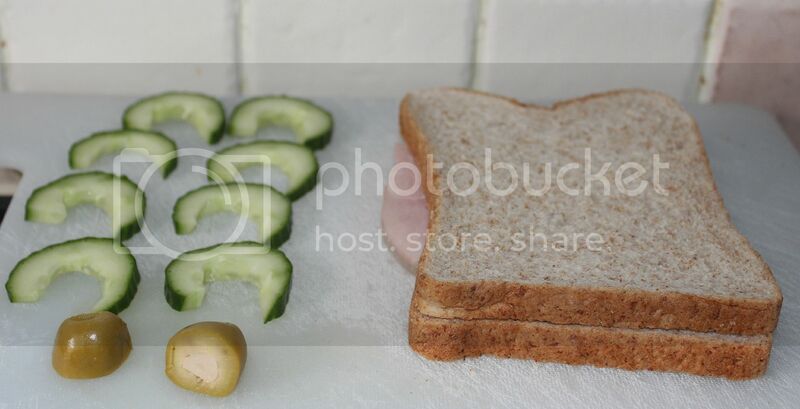 Here I used a garlic stuffed olive cut in half for eyes, a ham sandwich (but any filling is fine) and made legs from cucumber slices. I used a round cookie cutter to cut the sandwich and then placed the legs around the side and the olives on top. This would be good served with some spider web shaped crisps, or you could make your own web using twiglets. Certainly not too scary to eat, but maybe too cute! 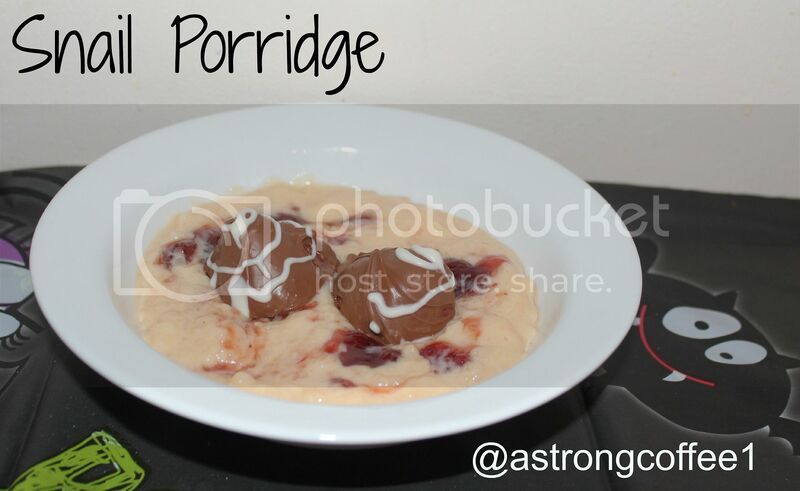 Next I decided to make a pudding of snail porridge. 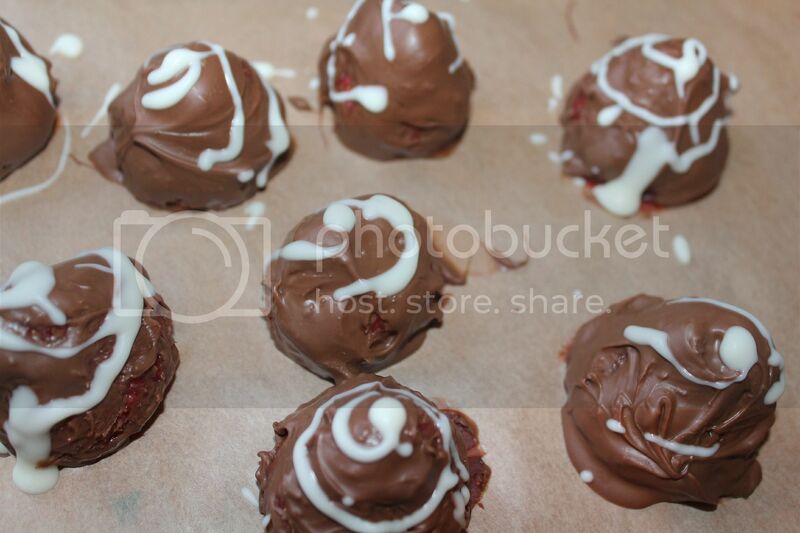 I started by making the snails out of strawberries and melted milk chocolate. I added detail with a drizzle of white chocolate. 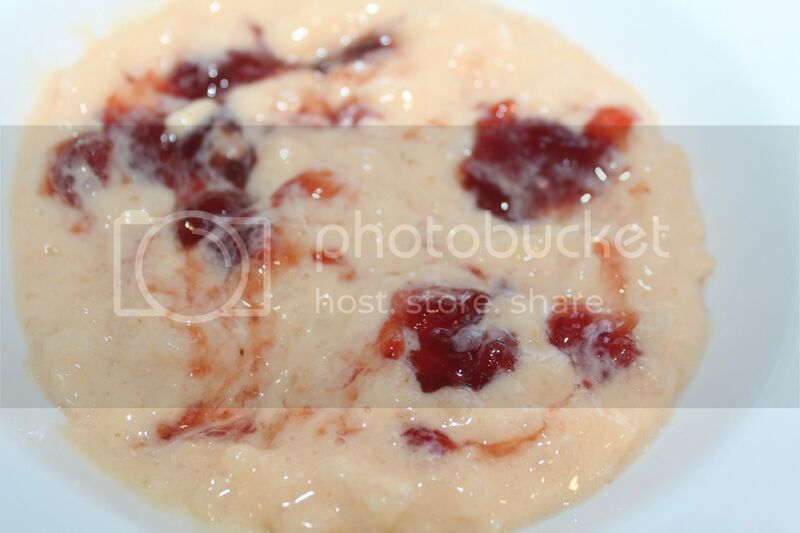 I then heated up some rice pudding and added some strawberry jam. I then placed 2 snails in the centre. Big man was very keen on this and requested more snails! 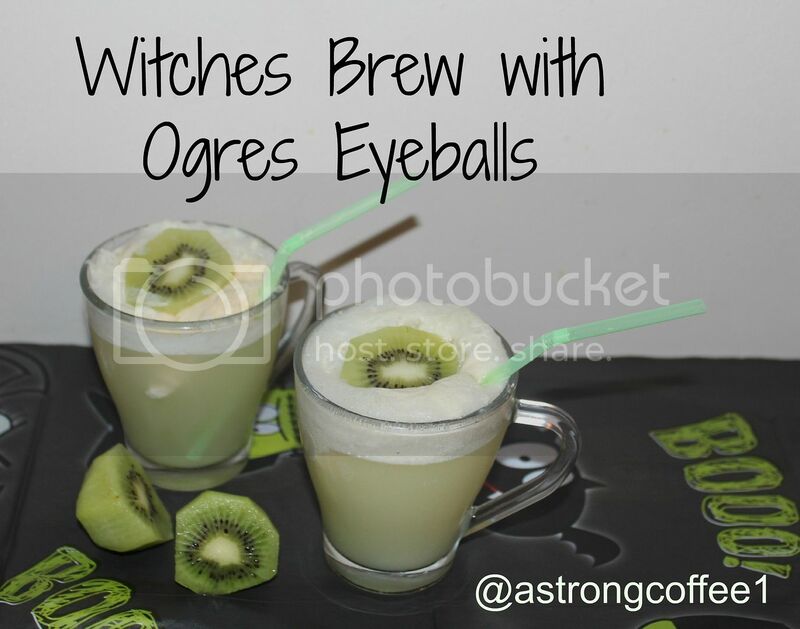 Last but not least to wash down your Halloween meal, why not try a witches brew with ogres eyeballs? Here I used limeade, a blob of vanilla ice cream and a slice of kiwi. So which is your favourite? Do you enjoy making spooky dishes for your children at Halloween? This is my entry to the Sykes Cottages Healthy Halloween Treats Competition. I received the cost of ingredients and a recipe book for inspiration. I love the spider sandwich it may get my ds to try cucumber! 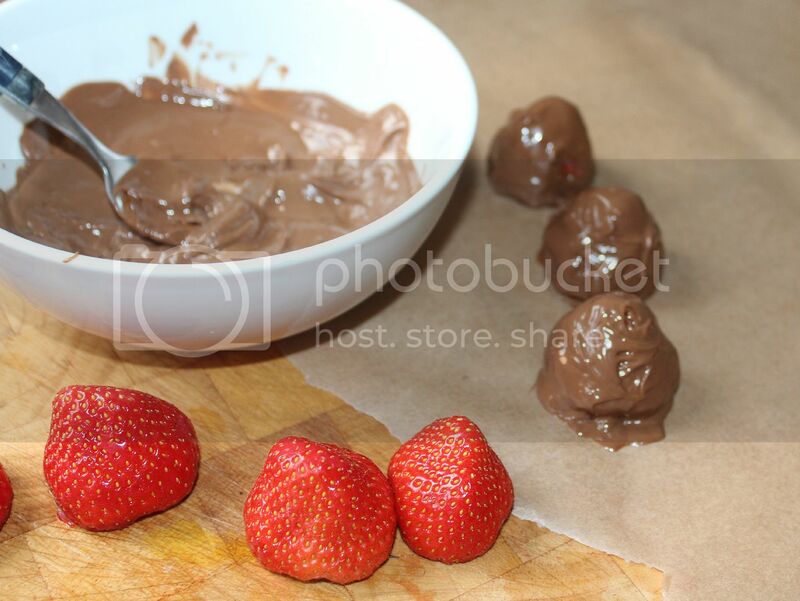 The chocolate coated strawberries look fab on their own to give the kids as treats (adults too). They all look good, but the sweet ones will impress my kids the most! Brilliant ideas that Im going to steal and make for the kiddies this week! Thanks! 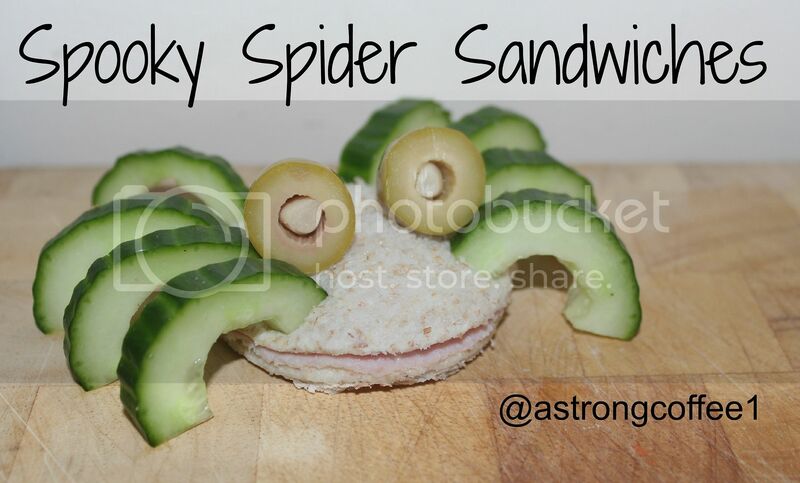 I love the look of the Spooky Spider Sandwiches! Here is my spider and he ate the cucumber! These look like lots of fun, and delicious too! Thanks - I'm really chuffed that one of my readers has made one after this and got her boy eating cucumber! Great ideas & fab pictures. wow those strawberries look delicious! !